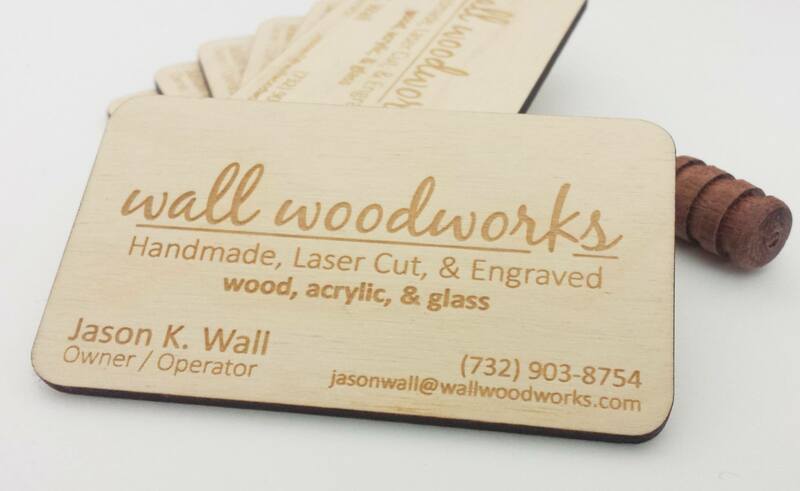 Our engraved business cards are made of 3mm Baltic Birch (1/8″). The overall size of the card is 3 1/2 inches by 2 inches. Graphics or text can be engraved within that space on your cards. If you need assistance with your card layout or design we will absolutely do our best to assist you. It is important that you enter your details into the “Order Notes” box on the checkout page. We copy and paste directly from this location when filling orders, we do not type out details to prevent spelling errors. As a courtesy we request that you please turn off your caps lock when entering these details. Once your order is placed you will be given the option to upload your design as a .pdf or .jpeg. Your order will include an email proof prior to engraving, upon approval your cards will be fabricated and shipped. If you would like to order larger quantities of engraved business cards 500+ we will work with you on pricing.